During armed conflict, laboratory professionals face even greater challenges in carrying out healthcare than they do in peacetime. 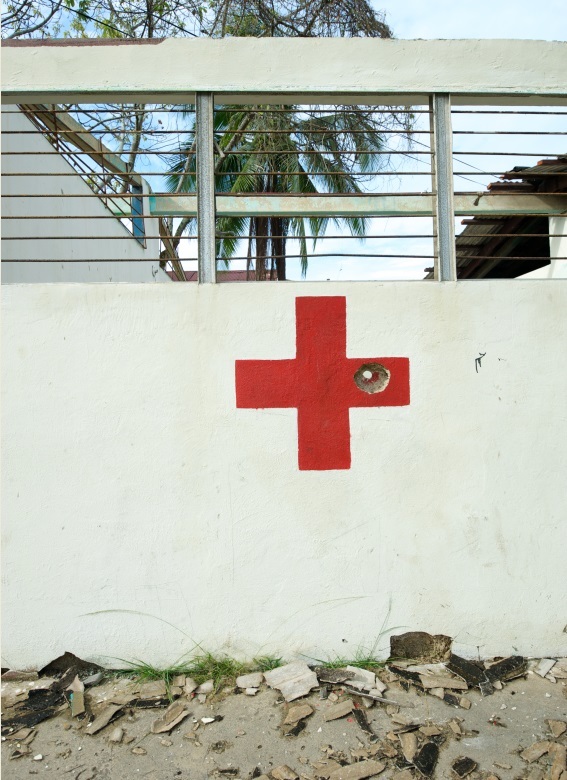 Maintaining health services is rarely a priority for the government; beleaguered civilian populations avoid routine healthcare; and conditions deteriorate. In conflict zones, “no one frequents health facilities any more, other than the war wounded,” says Dr. Guy-Michel Gershy-Damet, World Health Organization (WHO) Regional Advisor for HIV laboratories who works in Burkina Faso. Because of the threat to their safety, civilians flee the area or hide at home, avoiding medical treatment. Meanwhile, emergency needs such as injuries sustained during combat are often addressed in makeshift facilities by overwhelmed staff. “In times of conflict, the services provided are very basic,” says Major Elizabeth Wanja of the US Army Medical Research Unit in Nairobi, Kenya, who has been deployed to war zones. A reduction in services is caused in part by disruptions to the workforce. Like the rest of the population, healthcare workers in conflict zones are at risk of displacement, hostage taking, injury and death; many flee. The laboratory and hospital professionals who remain are at risk of harm, may have difficulty obtaining food, clean water and other basic commodities, and often face a reduction or loss of salary. In the difficult economic circumstances surrounding prolonged conflict, healthcare workers have been known to strike or demand unofficial reimbursement from patients who are rarely able to pay. Just as the supply of funds is often interrupted, the physical supply chain to laboratories and hospitals is at risk. The laboratory supply chain may be affected by (1) redistribution of funds to the war effort, (2) lack of personnel due to diaspora, (3) increased likelihood of criminal activities such as looting (especially during transit) and (4) inaccessibility of some areas due to destruction of transport infrastructure. When roads are mined or bombed, bridges destroyed, and safe passage impossible, reagents and consumables necessary for carrying out laboratory-based medicine cannot be ordered reliably. If supplies can be procured, they may fall below peacetime standards; some suppliers withdraw service in times of conflict due to higher financial risk while others are unable to provide products and services as a result of international trade regulations. When conflicts occur in remote areas, communication with central laboratories may break down; it becomes impossible to transport patient samples for referral testing, and broken equipment that could present a temporary setback under normal circumstances is unlikely to be serviced at all. Worse yet, health centres may be considered a target for looters, forcing staff to abandon them.